Diabetes is serious disease that affects millions of Americans. In fact, one in every four people with diabetes has no idea that they have it. That’s why it’s so important to know the risk factors, signs, and treatment options for diabetes. If you suspect that you, or someone that you love has diabetes, see Dr. Jeremy Luckett at Vineyard Primary Care in Owensboro, Kentucky. Dr. Luckett and his team of medical professionals specialize in the diagnosis and treatment for this manageable disease. Diabetes is a disorder of your pancreatic system where insulin is no longer being made by your pancreas to regulate your blood sugar levels, or insulin is being made, but not having an affect on your blood sugar level. The effects of this disease range from heart disease, stroke, kidney damage, a circulatory damage that often results in amputation of toes, feet, and legs. Both forms of diabetes and prediabetes improve with treatment. Type 1 diabetes is characterized by your body not being able to make insulin. Type 1 diabetes is usually diagnosed in people under the age of 20, though it’s possible to occur at any age. People with Type 1 diabetes will likely take insulin the rest of their lives to control the disease. 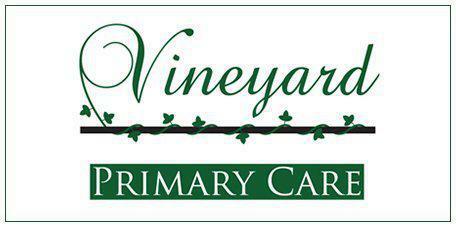 At Vineyard Primary Care, Dr. Luckett or Christina Wilkerson, APRN will assess your symptoms and take blood and urine tests. The primary tests are the finger prick test for your current blood sugar level and the A1-C test which measures the average levels of glucose in your blood over an extended period of time. In both cases, the higher the number the worse your condition. Often a combination of the those three changes will improve your condition greatly. In some cases patients following strict maintenance habits can reduce, or go off their medications but only at their doctor’s direction. The best thing that you can do to prevent type 2 diabetes is to maintain a low calorie healthy diet, get regular exercise and annual checkups, but a skinny person who exercise can also get diabetes if their family has a genetic connection to the disease. Inform Dr. Luckett if you have any concerns, or symptoms and he’ll order blood tests and get you started on a good maintenance treatment program to stop diabetes before it can do any harm.